Donald A. 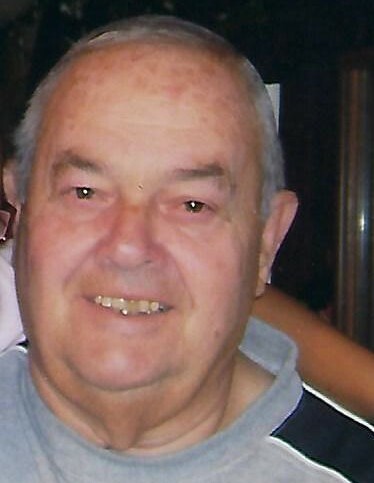 “Donnie” Ruden, 77, of Dubuque, Iowa passed away peacefully August 3, 2018 at Stonehill Care Center, surrounded by his loving family. Funeral Services will be held at 10:30 a.m. Thursday, August 9th, 2018 at the Leonard Funeral Home and Crematory, 2595 Rockdale Rd. Dubuque with Rev. Paul Attah-Nsiah officiating. Interment will be at a later date in Mount Olivet Cemetery. Visitation will be from 4:00 p.m. to 7:00 p.m. Wednesday, August 8th, 2018 at Leonard Funeral Home & Crematory. Donnie was born on August 2, 1941 in Holy Cross, IA to Clarence and Sylveria (Sabers) Ruden. He was the second of five children. Later in life he met Sheri Richard and they were married in the year 1984 in Reno, Nevada. He attended school at St. Columbkilles in Dubuque, where he was a student of their last high school graduation class in the year 1959. He worked at several places in the area including Bill on the Hill, State Brand Creamery, Dubuque Packing House, and retired after 31 ½ years from John Deere Dubuque Works. After that he went on to work part-time for Kirchoff Distributing. Donnie was an avid sports fan. He loved to watch the Iowa Hawkeyes and Chicago Bears, but most of all he loved the Chicago Cubs. In his younger years he played baseball for many teams including the Silver Tap, Lux Club, and Happy's. He also bowled in many leagues lastly at Horizon Lanes in Bellevue, IA. He enjoyed playing cards and gambling, but his greatest passion was golf. You could find him on the course nearly any day of the week. Aside from his love of sports, his greatest love was his family and friends. Those left to cherish his memory includes his wife Sheri Ruden, of Dubuque; his children Tim (Deb) Ruden, of Dubuque; Christine (Mark) Richman, of Elkhorn, NE; Mike (Sue) Ruden, of Dubuque; Michelle Colby, of Virginia Beach, VA; Pat (Kelly) Ruden, of Marietta, GA; Brian (Ann) Ruden, of Dubuque; Mark (Jodi) Ruden, of Dubuque, and Jamie (Jason) Smith, of Dubuque. His mother, Sylveria Ruden, of Dubuque; Siblings Ron (Mary Kay) Ruden of Hazel Green, WI; Ruth Burrows of Urbandale, IA; Linda (Bob) Schneider of Menominee, IL; and Gary (Pat) Ruden of Dubuque. Grandchildren Whitnee Hale, at home (boyfriend, Ted Pillard); Amanda and TJ (Brandy) Ruden; Nicholas (Molly), Andrew and Evan Richman; Josh (Kelsey Wilming) and Olivia Ruden; Kelsey Ruden, Kelsey and Matthew Hill; Meredith, Mallory, and Lauren Ruden; and Alexa, Jackson, and Lucas Ruden. Great-grandchildren Rylie and Noah Ruden. Special nephews Doug (Carol) Schneider and Anthony Ruden. Surviving also are many other nieces and nephews; family; and friends close to him especially Sally Kessmann, Jack and Gayle Hancock, Mark and Pauline Hancock, and Randy and Jeanne "Chub" Weber. He was preceded in death by his father Clarence J. Ruden, son-in-law David Colby along with many special Aunts and Uncles. The family would like to extend thanks and gratitude to his second family, the nurses and staff of Tri-State Dialysis; his physicians Hillard Salas, David Ringold, and Tauseef Khan; the nursing staff on the 400 wing of Stonehill Care Center; and Hospice of Dubuque for their great care and compassion.